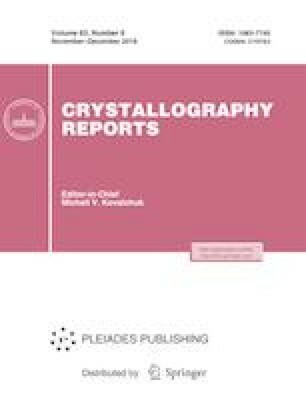 Electrical, electromechanical, and structural–optical properties of films of vinylidene fluoride copolymer with tetrafluoroethylene TFE, doped with Rhodamine 6G dye, have been investigated. It is found that the conductivity increases in doped films; at the same time, it “anomalously” decreases with an increase in the field. The hysteresis loop of local piezoelectric response has an asymmetric shape, which is related to the difference in the local field when its polarity changes. According to the data of absorption and luminescence spectra, the dye (at chosen concentrations) exists in form of, at least, monomers and dimers. It is shown by IR spectroscopy that hydrogen bonds can be formed between a dye molecule and vinylidene fluoride units located in amorphous regions. A model is formulated, which provides a correlation between the electrical and structural properties of the doped films. This study was supported by the Russian Foundation for Basic Research, project no. 18-03-00493, and the Ministry of Education and Science of the Russian Federation, project no. 16.2811.2017/4.6. Investigations by scanning probe microscopy were supported by the Ministry of Education and Science of the Russian Federation and performed using equipment of the Shared Research Center “Materials Science and Metallurgy” of the National University of Science and Technology MISiS (project no. 11.9706.2017/7.8). Electron spectroscopy investigations were supported by the Russian Foundation for Basic Research, project no. 16-32-00914.